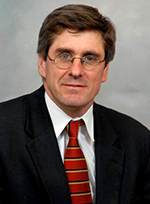 Stephen Moore, a policy advisor for the Leadership Project for America Foundation and one of the leading proponents of free-market economics in the country, has an analysis “Keep the Spending Caps” over at the Heritage Foundation’s web site (where he holds the position of Distinguished Visiting Fellow in the Institute for Economic Freedom and Opportunity) explaining why the budget caps included in the 2011 Budget Control Act (which came about as a result of the “debt ceiling” deal between President Obama and Speaker Boehner, and included what came to be known as the “sequestration” budget cuts) should be kept in place. The BCA is far from ideal, but it has produced beneficial results for the U.S. economy and the federal fiscal situation. Under the Budget Control Act, total federal outlays have fallen from $3.603 trillion in 2011 to $3.506 trillion through FY 2014. This is the first three-year stretch of declining federal outlays since Dwight Eisenhower’s first term in office. The BCA slammed the brakes on the reckless government activism of 2008, 2009, and 2010. The Washington Post recently called for the cessation of the sequester, complaining that across-the-board cuts are the antithesis of “governing” and a substitute for “making choices.” But this misses the point. The BCA is necessary and desirable precisely because Congress and the President will not make tough choices. The default position instead of cutting wasteful expenditures is to borrow more and more—now $18 trillion. Borrowing to push the costs of current consumption onto future generations is the essence of bad and unaccountable government. Government is about choosing, but this government, which has run $1.4 trillion deficits, refuses to choose. If President Obama engineers another end run around the caps with his proposed $74 billion in new spending this year and $362 billion over five years, the discipline of the BCA will be forever lost, and we will be back to the free-for-all of 2009 and 2010. Defense spending has been cut sharply. But to restore sensible national security policy, appropriators need to eliminate waste from the defense budget and defund the billions that are diverted to nonsecurity programs, such as a multibillion-dollar green-energy programs, that Obama has stuffed into the Pentagon budget. Rather than bust the overall caps, fiscal conservatives should insist that any increases in defense spending be funded with reductions in domestic spending. If, instead of accepting Obama’s spending binge offer, Republicans can hold to the caps and allow sequester cuts if spending comes in over target, the fiscal picture continues to improve. Under the existing caps, federal discretionary spending will remain benignly flat through the end of 2017. If growth picks up to 3.5 percent, spending could fall below 19 percent of GDP by 2024 compared with the 22.4 percent estimated under the 2016 Obama budget proposal. The whole thing is worth the read (here) for anyone who wants to get an understanding of the budget cuts that have taken place to date, something sure to be a topic of discussion in 2016.